The Famille Filou - an exciting concept! The design of the Famille Filou is very special. 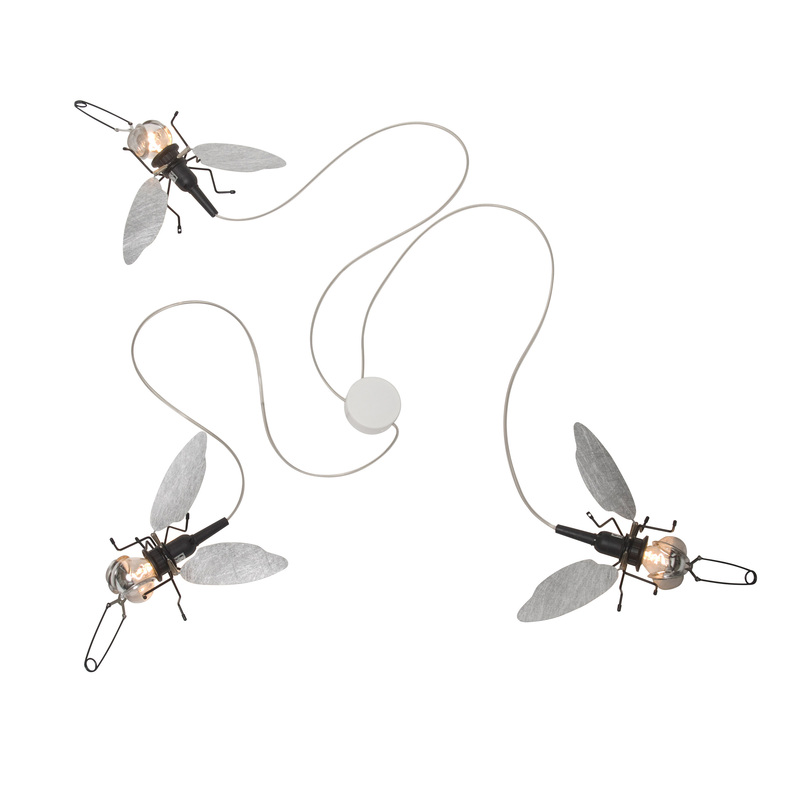 The three Fliegenkorpi are the light heads this wall lamp and give the lamp an exceptional character. With this original idea, the Famille Filou stands out from ordinary lights and is available in every room for a sure eye-catcher. Not only the look, but also the material are unique: A vari-angle strainer forms for each fly eyes and snout, the wings are made of heat-resistant textured fabric. Especially in conjunction with the other lamps in the Filou series of oligo (Mademoiselle Filou Filou Famille and ceiling light), you can create a very special ambience.